The basic processes of Incident and Problem Management have been implemented by most Service Desks, yet very few have matured these processes to a level that increases the customer’s perception of service quality. This session outlines simple and practical steps that any service desk can take to improve the service experience, offering customers increased visibility and control, whilst simultaneously reducing the load on the service desk. 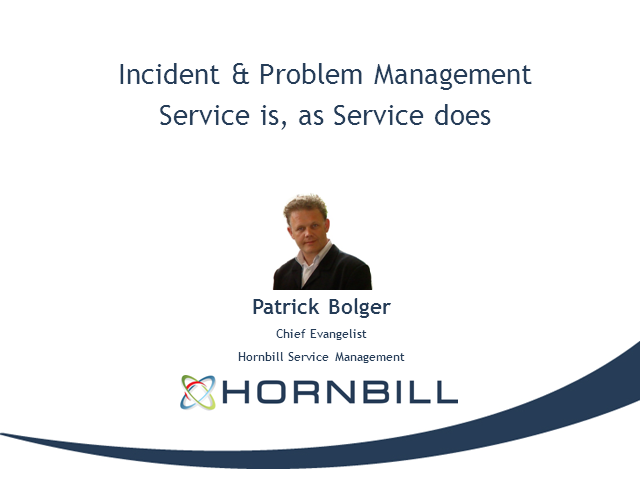 Patrick will challenge the metrics typically used to measure Service Desk performance and show examples from organisations that have achieved excellent results by making simple changes to service operations.